Gestational diabetes (GD) is high blood sugar or glucose levels during pregnancy. 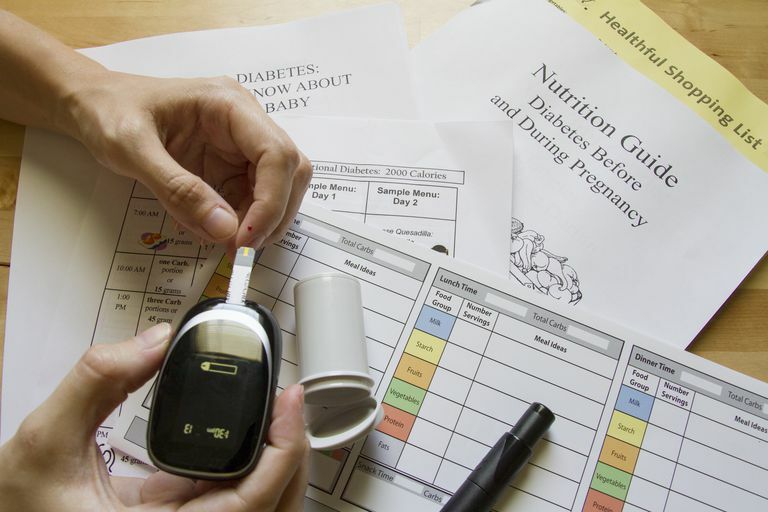 About 4% of pregnant women will suffer from gestational diabetes. Not every mother will need to be screened using blood work, there are guidelines as to who needs to be screened with blood work. This is typically screened for in the 28th week of pregnancy; if you need additional screening with a glucose tolerance test (GTT) it will be done at this point. The absolute cause of gestational diabetes is still being researched. We do know that the hormonal involvement of the pregnancy can cause problems with the mother's ability to block the insulin, known as insulin resistance. Therefore, your body doesn't have its normal ability to use the insulin - this means you need up to three times the amount of insulin as normal. So when your body is unable to make and use the insulin in pregnancy it is called gestational diabetes. When you don't have that ability to use insulin you cannot process glucose (sugar) in the blood. Therefore the blood has a high level of sugar. There are some women who had diabetes prior to pregnancy, this is not considered gestational diabetes, but a woman who has diabetes and is pregnant. Gestational diabetes tends to occur in later pregnancy, meaning the types of problems associated with gestational diabetes are not major bodily malformations like you would associate with problems in early pregnancy. The real issue is untreated or not well controlled gestational diabetes. Because your body isn't able to process the insulin and your blood sugar goes up, your baby's blood sugar also goes up. This forces your baby's pancreas to work overtime to reduce his blood sugar. Because of the added energy (sugar) the baby than it needs, it is stored as fat. The extra fat can lead to macrosomia or a large baby. This has the potential to make birth more difficult, but not always, like increasing the cesarean section rate. Talk to your doctor about your preferences for care. A baby who is born after a pregnancy with gestational diabetes has a greater incidence of low blood sugar or hypoglycemia. You may also find that these babies have more breathing difficulties at birth. Later in life, these babies are at a greater risk for obesity and subsequently Type 2 Diabetes. Nutritionist. A discussion of healthy foods and how to make choices that keep your blood sugars at normal levels. This meal planning advice will include how to snack well and plan meals. Blood Sugar Monitoring. How often you test your blood sugar through finger pricks will depend on the protocol used in your practice, but it is typically several times a day. You will be taught how to do this on your own. Insulin Injections. Not every mother will need to use insulin. Many mothers are able to control the blood sugars by using diet and exercise alone. Your practitioner will monitor your blood sugars to allow you to know if you need additional help from insulin injections.